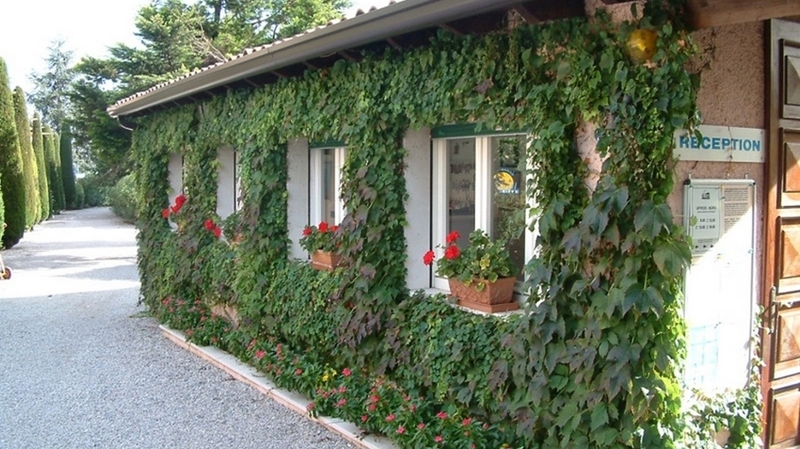 Residence Villalsole in San Felice del Benaco is a real oasis of quiet and relaxation. At the same time you have the possibility to do many interesting things and to spend a varied holiday. 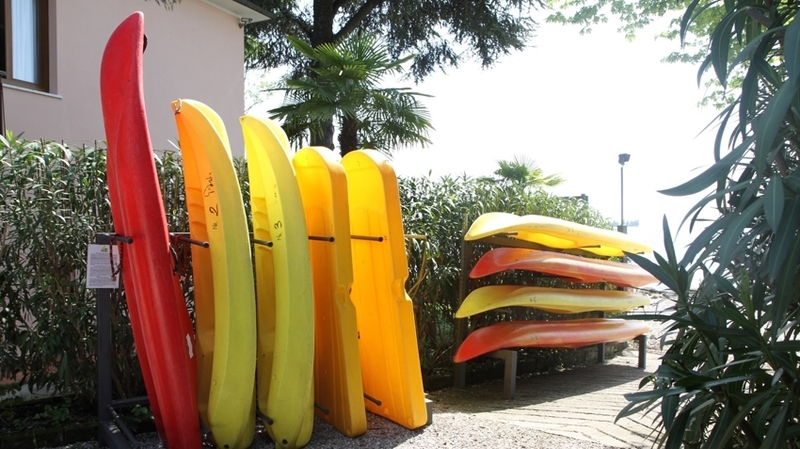 For your stay the Brotto Family offers different kinds of accommodation – from log cabins and little chalets with garden to spacious vacation apartments. 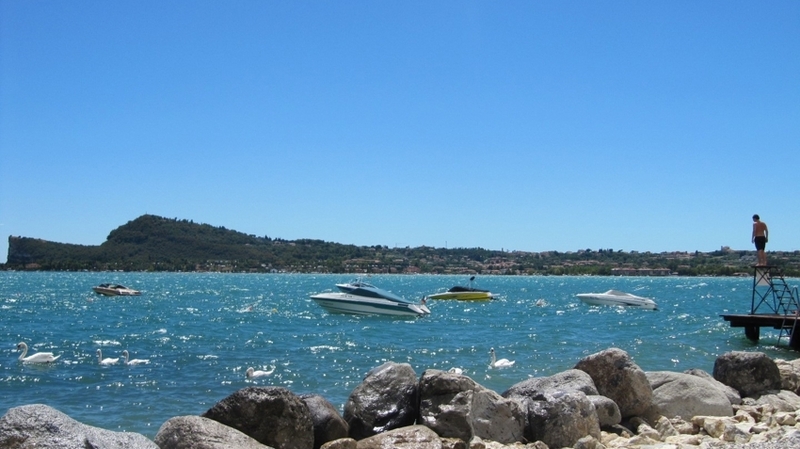 Regardless of your choice, you’ll always enjoy a wonderful view to Lake Garda and comfortably furnished premises. 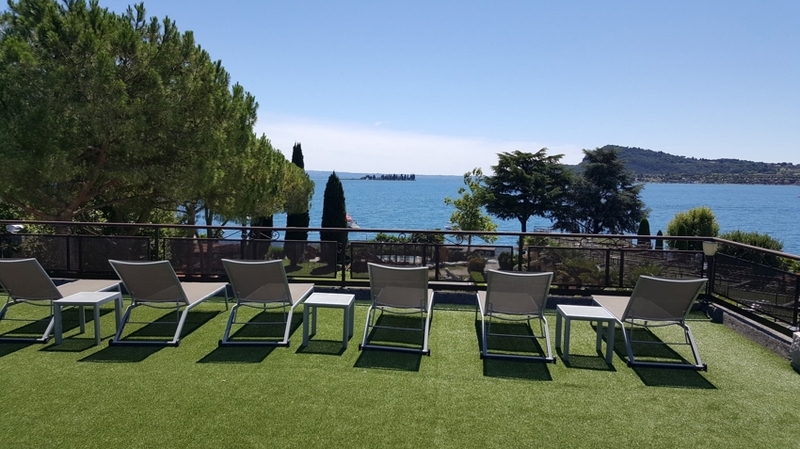 For all guests of the Residence Villalsole there is available a restaurant with pizzeria and an extensive white pebble beach with sunshades, sun loungers, two large landing stages and docks for boats. 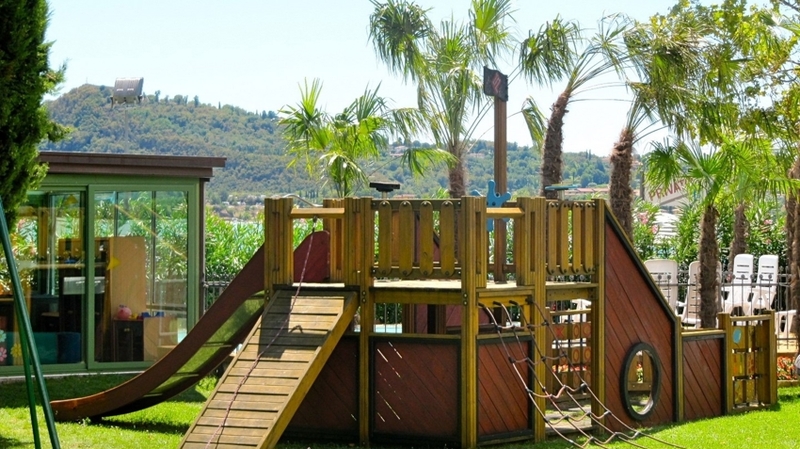 Moreover for families with children there are waiting a large playground with little timber houses and a shallow pool. 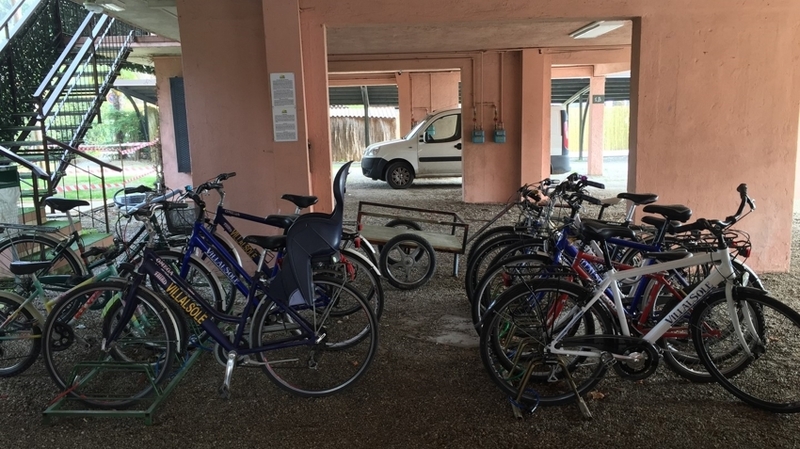 Passionate cyclists can participate in free guided bicycle rides through the environs. Dog lovers and their four-legged friends are very welcome, too. 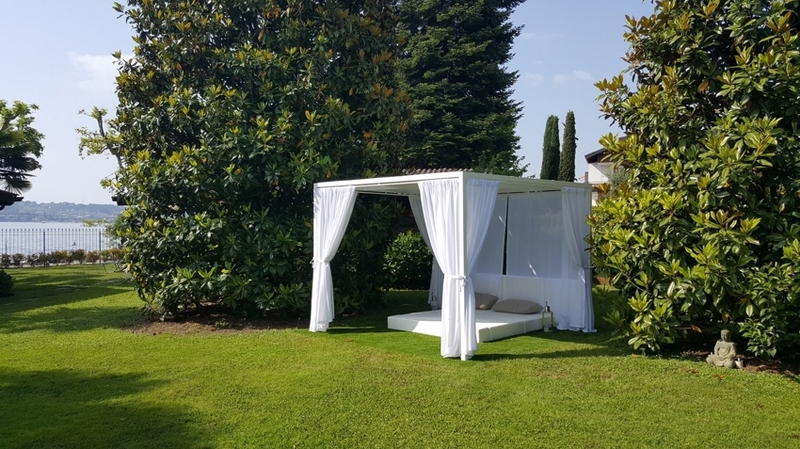 Residence Villalsole is an ideal place for guests, who want to relax and sunbathe on the shore of Lake Garda, to discover the cultural towns and the nature around San Felice del Benaco or to visit the famous amusement parks. For instance Verona, Brescia, Gardaland and Canevaworld are reachable within 40 minutes; Bergamo is an hour away. 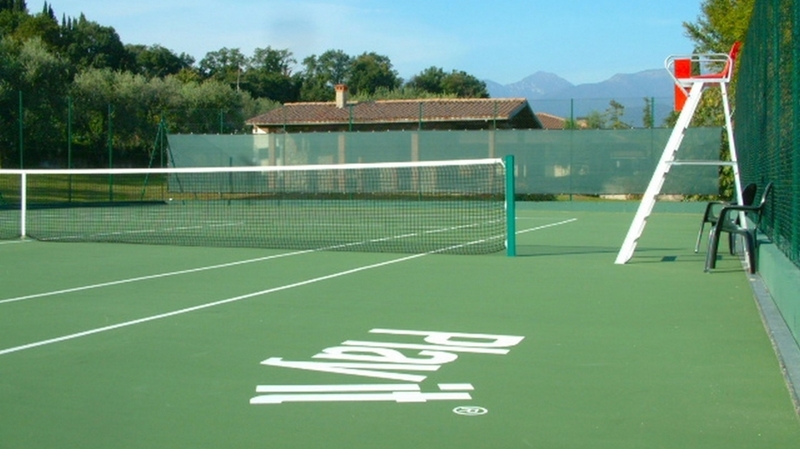 Numerous good restaurants and pizzerias can be found in the close vicinity – the staff of Residence Villalsole will advise you with pleasure. 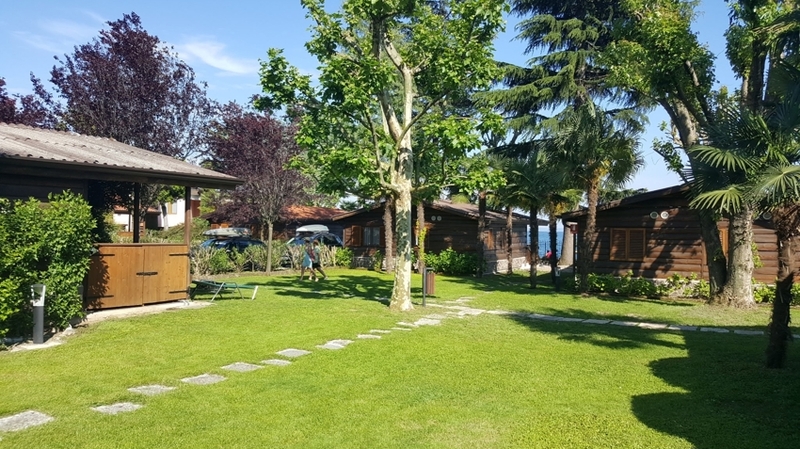 Apartments Anna (about 50 square meters) are located in Residence Villalsole, directly on the lake with many services for a fantastic holiday Garda lake. Each apartment has its own entrance, a bedroom with double bed, bathroom with shower, living room with sofa bed for 2 persons, fully equipped kitchen with american coffee and espresso machine, and dishwasher, balcony, roof terrace (as large as the apartment with umbrella and 2 deck chairs), covered parking , Heating, Air conditioning, Safe, Satellite TV, WiFi, Barbecue; suitable for up to 4 people. Apartments Bianca At approx. 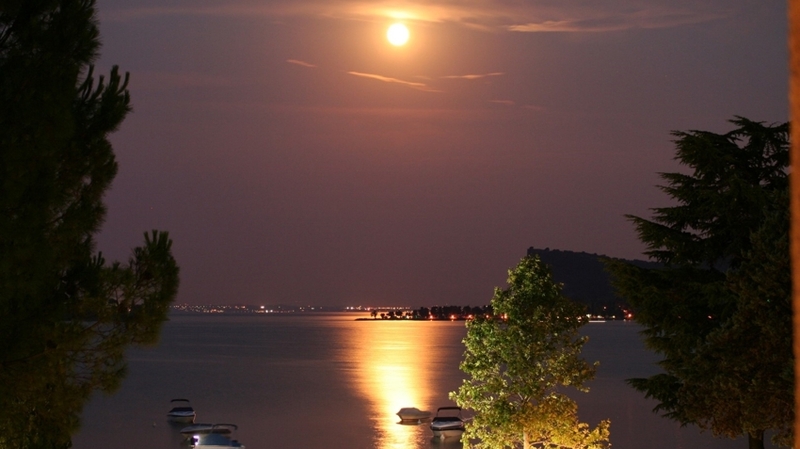 57 m2, are located in Residence Villalsole, directly on the lake with many services for a fantastic holiday Garda lake. Sleep up to 4 Spectacular lake views. One bedroom with double bed, one bedroom with two single beds, bathroom, living-room with sofa-bed. The sofa-beds in all Apartments Bianca make a full-size single bed and have beneath them a second full-size pull-out single. Fully-equipped kitchen, with coffe, esprsso machin and dishwasher, terracein common and balcony privat with table and chairs, deck chairs, barbeque and optional shade. Covered parking below apartment, heating, air conditioning safe-deposit box, Sat. TV and WiFi. Chalets Rio At approx. 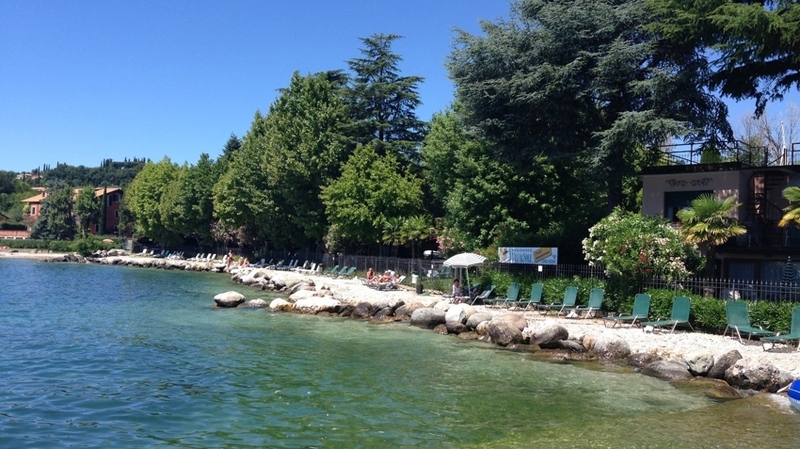 40 m2 are located in Residence Villalsole, directly on the lake with many services for a fantastic holiday Garda lake. 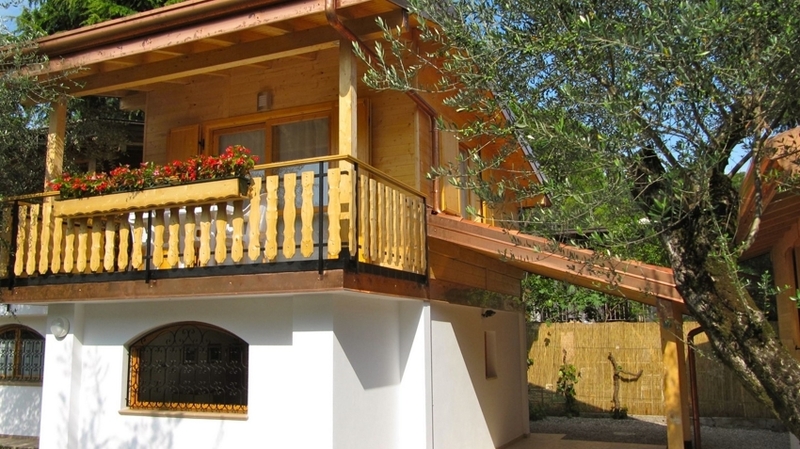 These attractive individual chalets sleep up to 4 and all have private gardens. 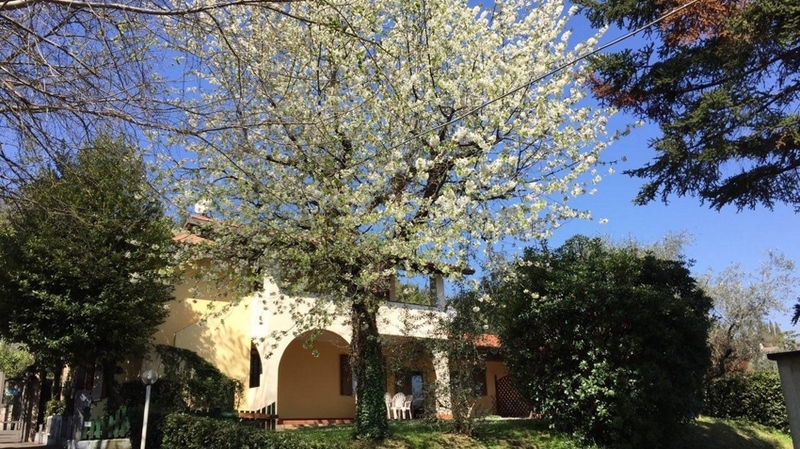 One room with double bed, bathroom, living-room with sofa-bed (makes full-size single with pull-out full-size single beneath), fully-equipped kitchen with coffee, Espresso machine, dishwasher, heating, air conditioning, safe, Sat. TV, WiFi, terrace with table and chairs, barbecue, shady car park. 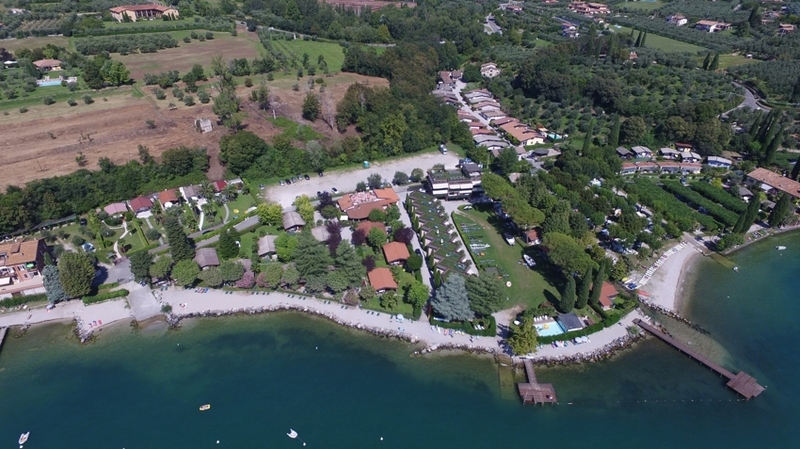 Villette Benaco are located in Residence Villalsole, directly on the lake with many services for a fantastic holiday Garda lake. These exceptionally attractive log cabins are generously-sized (70sq. m. ) and enjoy very spacious landscaped grounds plus welcome shady parking. Each Villetta Benaco can accommodate up to 6 people. There are two bedrooms, one double and one single and 2 bathrooms (only one with shower) and a living-room with two single sofa-beds, a fully-equipped kitchen with Espresso and american coffe machine, dishwasher, heating, air conditioning, safe-deposit box, Sat. TV, WiFi, terrace with table and chairs, barbeque. 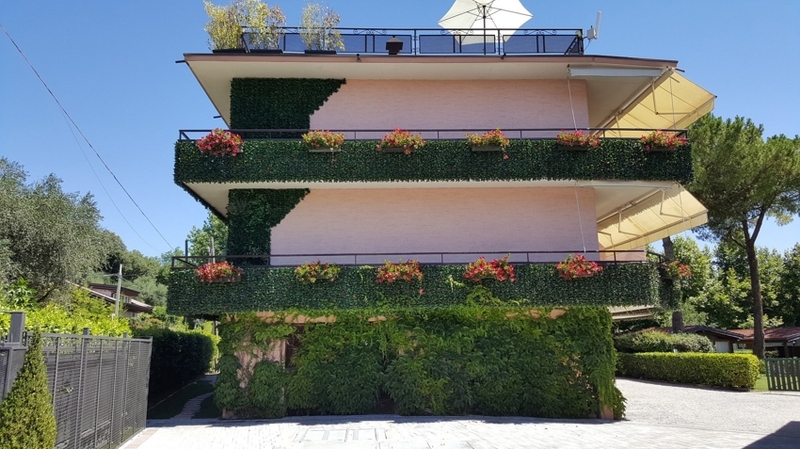 The cottags is located in Villagio Heliopolis, in Manerba del Garda, is a private residential village, with private access to the beach (via a path with stairs). On the beach there is a privat pier and buoys for guests arriving by boat. The beach is very large (Gulf of Manerba); You can walk along a romantic walk on the lake to the Torchio Port where there are bars and restaurants. free for our guests the following services: (The services are in the Residence Villalsole in San Felice del Benaco, 1 km from the Heliopolis Village) Deckchairs and beach umbrellas, two private piers (one with a springboard), table tennis, table football, canoes, stand up paddle, pedal boats, bicycles, electric bicycles, children's playground, lounge terrace, relax area, high-speed WiFi , tennis court (500mt away), children's playground, paddling pool. The apartments 87 built in June 2011, consist of one bedroom with double bed and double sofa beds, bathroom with shower on ground floor, living-room with kitchen and 2 sofa bed (makes full-size single with pull-out full-size single beneath it), Sat. TV, parking, heating, at the first floor you'll find a terrace with table, chairs, deckchairs. Dogs are allowed. The unit is for 4-6 people, it lies in a quiet area. 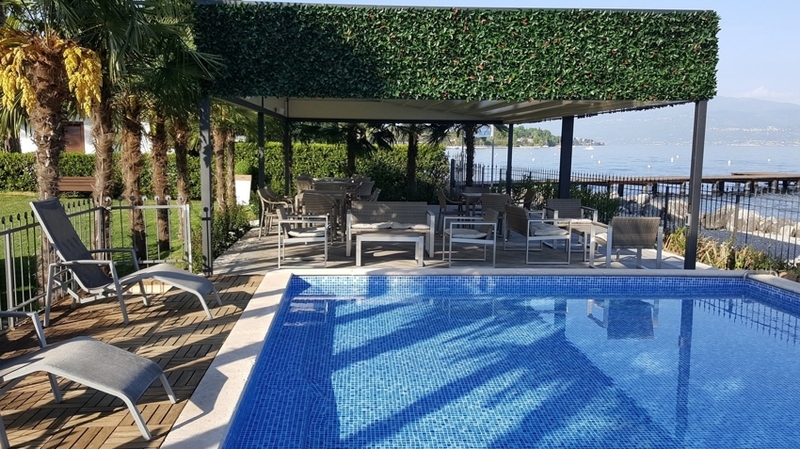 The cottage is located in Villagio Heliopolis, in Manerba del Garda, is a private residential village, with private access to the beach (via a path with stairs). On the beach there is a privat pier and buoys for guests arriving by boat. 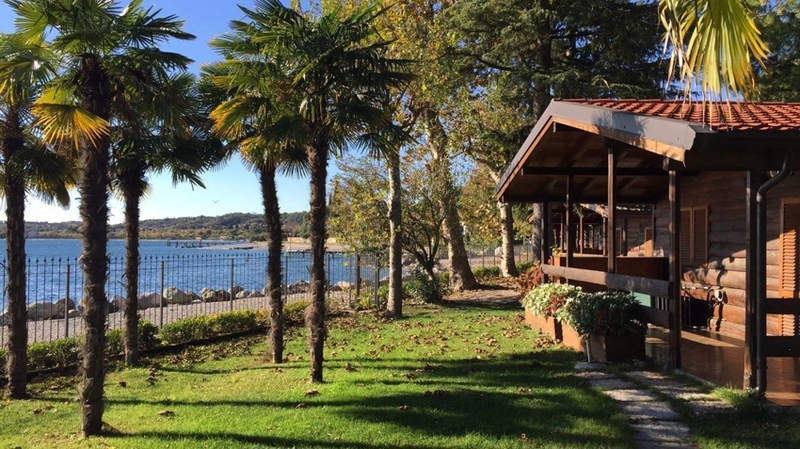 The beach is very large (Gulf of Manerba); You can walk along a romantic walk on the lake to the Torchio Port where there are bars and restaurants. free for our guests the following services: (The services are in the Residence Villalsole in San Felice del Benaco, 1 km from the Heliopolis Village) Deckchairs and beach umbrellas, two private piers (one with a springboard), table tennis, table football, canoes, stand up paddle, pedal boats, bicycles, electric bicycles, children's playground, lounge terrace, relax area, high-speed WiFi , tennis court (500mt away), children's playground, paddling pool. The apartments 89 built in June 2011 is an indipendent cottage on the ground floor, with only 3 steps, with two bedrooms and a bathroom with shower, living-room with kitchen and sofa bed (makes full-size single with pull-out full-size single beneath it), Sat. TV, parking place and heating; terrace with table, chairs, deckchairs and BBQ. Dogs are allowed. The unit is for 6 people, it lies in a quiet area. + Die direkte Lage am Seeufer mit Bademöglichkeit, die kostenlose Nutzung der Fahrräder, des Tennisplatzes, der Boote, Tischtennisplatten und Tischkicker. Die Pizzeria vor Ort und natürlich das freundliche und hilfsbereite Personal.